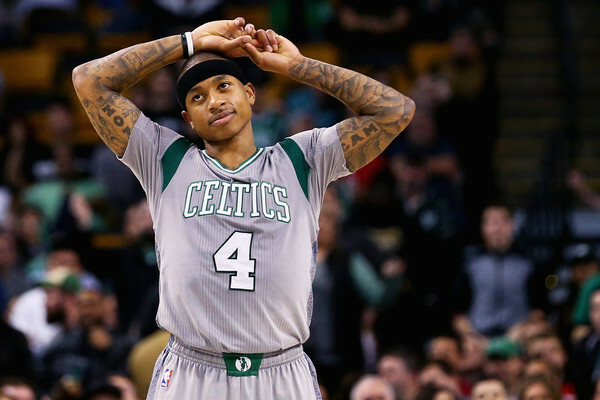 The hip injury that ended Isaiah Thomas’ season during the Eastern Conference Finals won’t prevent him from starting 2017-18—or rather, at the very least, he won’t be going under the knife. This is great news for the Celtics. Thomas is the lifeblood of their offense, and even with Gordon Hayward entering the fold, they need his playmaking and the threat of his drives and finishes to leverage the full extent of their offense. The absence of surgery suggests he’ll be good to go on opening night, which means we’ll get to see the new-look Celtics at complete capacity—a real treat for anyone who wants to know how the four-man combination of Thomas, Hayward, Jae Crowder and Al Horford will fair on the floor together. Thomas first suffered the injury during Boston’s second-round date with the Washington Wizards. Though he wrapped that series while playing through the pain, he made it through less than two games against the Cleveland Cavaliers in the Conference Finals before bowing out for this season. Hence why this is such good news. Thomas is tough as nails. He played after receiving semi-serious dental surgery. He played through the death of his sister, Chyna. For him to sit at the most pivotal point in the year, the injury needed to have been bad. That surgery wasn’t ruled out until now only adds to its presupposed severity. Fortunately for him, and the Celtics, everything appears to be working out.